Many Google Nexus S and Nexus One Smartphone users wants to update their software with latest release Android 2.3.3. Now Android users can download and install update manually of Android 2.3.3. Reports from Google suggested users could be waiting as long as a matter of weeks for the over-the-air update to land on everyone's handsets, but now the search giant has decided to allow eager punters to download the update and apply it manually. If you want to be a lucky user to hold latest Android update of 2.3.3, here's how you can get the latest version of everyone's favorite mobile OS without waiting. NOTE: We're hearing reports of the Nexus S update not working - it seems Google may have given us the incorrect update file. Hopefully the issue will be corrected ASAP! Download the relevant update for your device: Nexus S and Nexus One. Rename the downloaded Zip file to 'update.zip' - Nexus One owners MUST do this, while interestingly the Nexus S can flash from any file name. Copy the renamed file to your phone's storage. Turn your phone off. 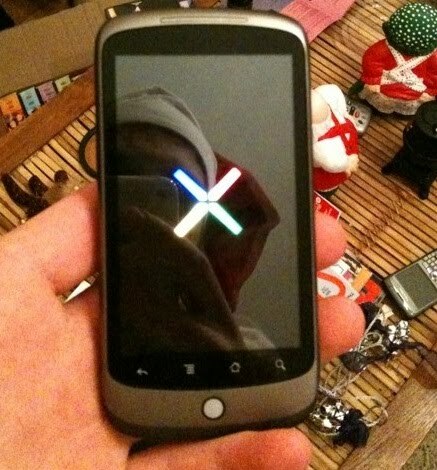 Now turn it back on while holding the volume DOWN (Nexus One) or volume UP (Nexus S) button. Press the volume DOWN button to highlight 'recovery' and press the power button to select it. Next you should see a yellow triangle with an exclamation mark - press the volume UP and power buttons simultaneously. This last step depends on your phone - Nexus One users: use the trackball to select 'apply sdcard:update.zip”. Nexus S - Choose 'apply update from /sdcard and choose the update file. After the above steps and a restart you should now be running Android 2.3.3. Welcome to Gingerbread, Nexus One owners! Update: As pointed out in the comments, it appears Google hasn't so much released the update files as someone's managed to get hold of them. Either way the end result is the same, but it's still worth remembering that this isn't strictly 100% official!